OpenHAB is platform agnostic running ontop of JAVA, at the moment the rerecorded Java Virtual Machine is Oracle Java 8. Unfortunately while Jessie ships with Oracle JDK, it’s not up to date, and installing it can be a royal pain in the posterior. To this end, I’m going to just grab the binary and install it. Before we do however, lets get some other useful tools. Now that’s done, grab the latest java ARM 32 hard float tar.gz from here, and copy it to /tmp on the Pi. Note: This next step will allow you to download it straight to the Pi, but I’ve no idea who’s ftp this is! – So I don’t trust it. Right now I’m just using it as a quick way to demo given I can’t wget from Oracle!! A better way would be to host it yourself, or scp it. Set default java and javac to the new installed jdk8. After all, verify with the commands with -verion option. First create a user and then as some of our devices are local on GPIO we also need to add the user to the gpio group we created earlier. Copy the link to the tar.gz here: https://openhab.ci.cloudbees.com/job/openHAB-Distribution/lastSuccessfulBuild/artifact/distributions/openhab/target/ and use it for the wget request below! 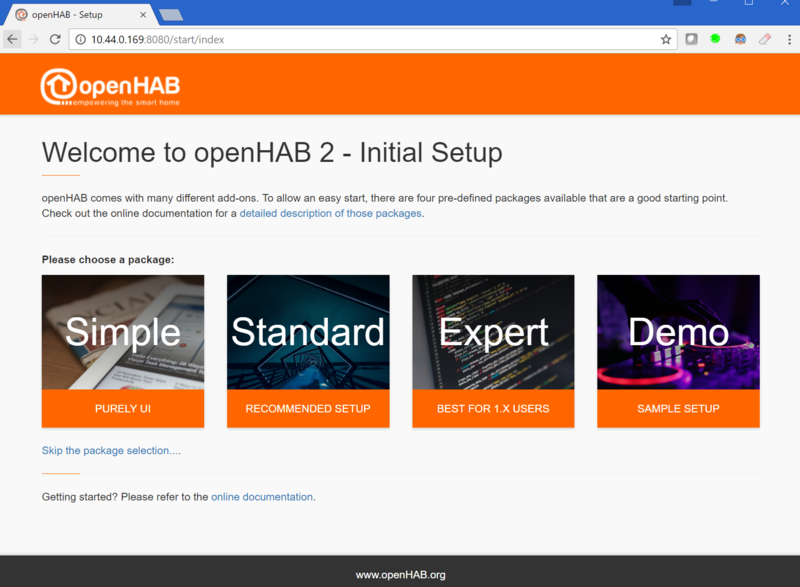 You should now be able to start open hab and try it out!